An iconic dish of the cuisine of Italy’s southern coastline, this recipe calls for only a handful of main ingredients—clams, olive oil, and parsley—but they must be top quality. 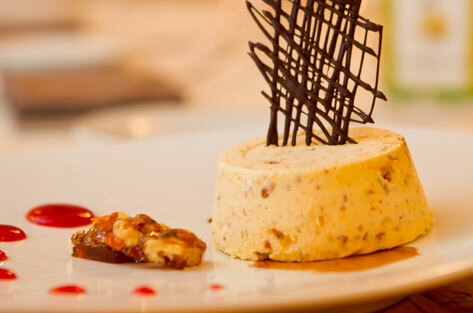 Al Tiramisu’s version is so beloved that a few years ago, the Washington Post chose this as one of the top five plates in the city. 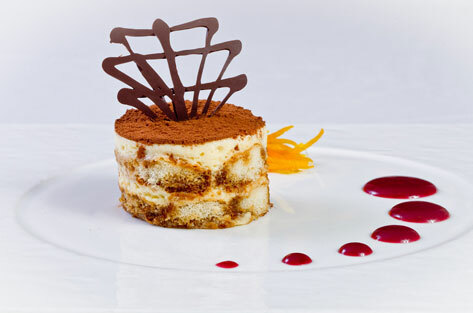 Often clients who have just returned from a trip to Italy come to Al Tiramisu craving this dish. They tell me nothing else in town tastes quite as authentic. The plate’s devoted fans include officials from several embassies in town, including the South Korean and the Japanese, and a local businessman, Marcello Dellaccio, who is so enamored that he orders a plate every time he visits. Another regular, John Pile, devours a portion and a half at every sitting. John’s wife once asked me to prepare the dish at his birthday party and my favorite part of the evening was watching John eat the linguine straight out of the sauté pan. That way, he explained, he could also breathe in the fantastic aroma. 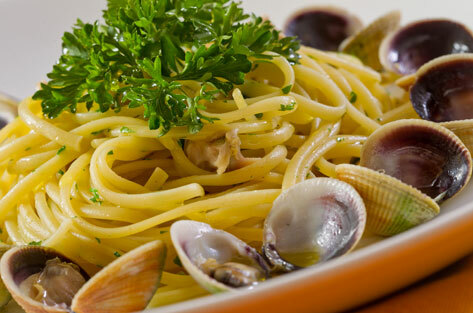 Italians use vongole verace, small clams about 2 inches across to make this recipe. In the United States, littleneck or quahog clams are good substitutes. Add salt, reduce heat to medium, and add the linguine. Cook until very al dente (about 1 minute less than if you were serving immediately). Drain well. While the linguine are cooking, heat the olive oil in a large sauté pan over medium heat. Add the garlic and cook until it begins to release its aroma. Add the clams and ¼ cup of the fish stock. Cover and cook until all the clams are open, 2 minutes. Discard any broken or unopened clams. Add the linguine to the clams and toss well. If the mixture seems too dry, add the remaining ¼ cup of fish stock. Continue to cook for 1 to 2 minutes to allow the flavors to combine and the linguine to achieve desired tenderness. 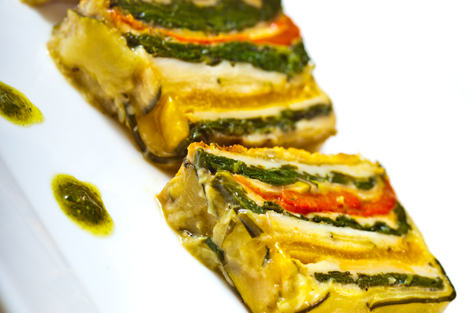 Place on a platter, top with parsley, and serve immediately. Selecting good clams is essential to executing this dish. Use the smallest, freshest clams available. Pick clams with closed, unbroken shells, which usually mean that the clam inside is alive. To test, tap the shell a few times on the counter. If the shell closes, the clam is alive. If it stays open, it is not and should be discarded. Try to avoid buying clams sold in tightly packed bags that make it seem as if the shells are closed. To clean fresh clams, scrub with a kitchen brush and soak them in cold water. Scrub again and soak again. Drain the water and continue soaking until the sand and grit are removed and the water is clear.